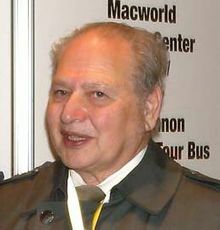 1976– What a position Ronald Wayne was in. He was the 3rd co-founder of Apple Computer on April 1 with 10% share. However, after two weeks Wayne sells his share for $800 back to Steve Jobs and Steve Wozniak. The reason why was because if the company was to go under, he would be liable for any debts incurred. While a solid reason why (Wayne had assets that couldn’t be risked in that nature), it turned out to be one of the biggest mistakes as Apple is grossed in the billions. Wayne designed the original Apple logo and wrote the partnership agreement. First commercial SPAM is reported.